Detailing the physical features, habits, territorial reach and other identifying qualities of the Woodland Jumping Spider. 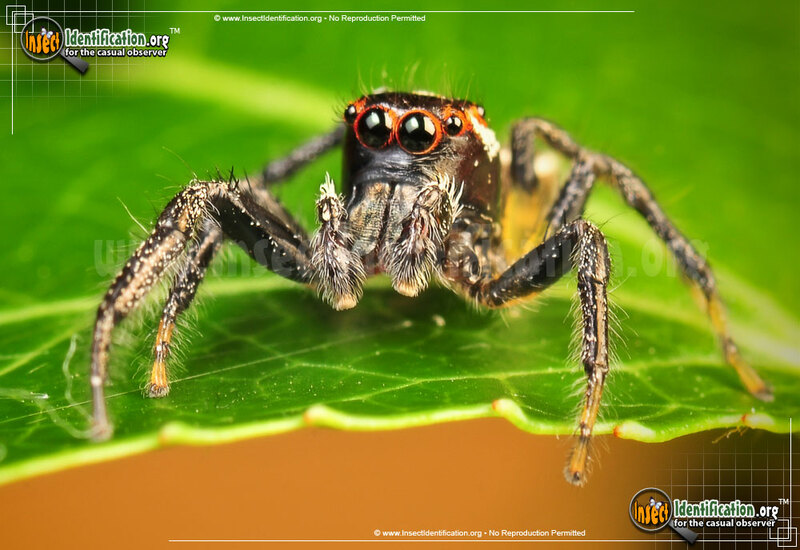 The tiny, hairy Woodland Jumping Spider can impress with its long jumps, leaping inches away in just the blink of an eye. Jumping spiders are known for their fantastic ability to leap across large air spaces. 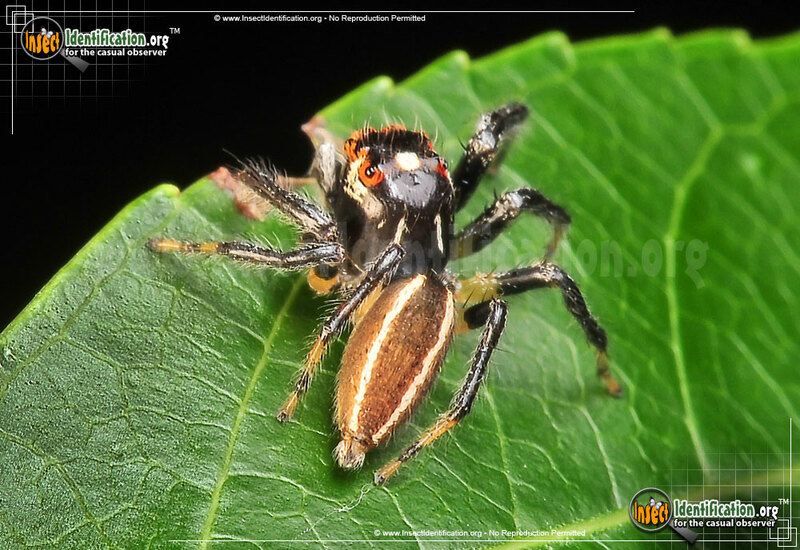 The Woodland Jumping Spider is an agile predator thanks to this ability. It attacks prey by pouncing on it, saving its spider silk for little shelters to rest in when not hunting. 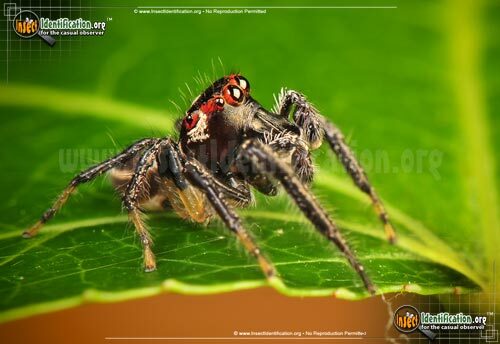 This spider also has a reputation for incredible vision. It is just as interested in observing you as you are in observing it. 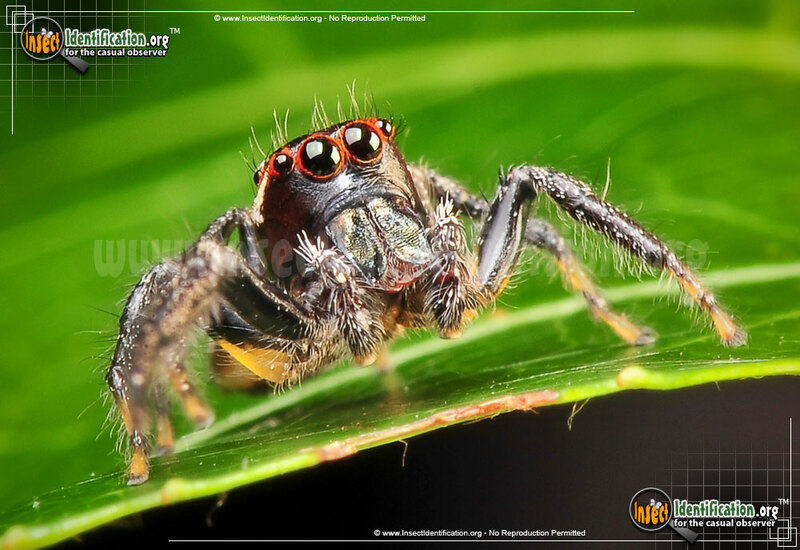 The Woodland Jumping Spider has a glossy, black carapace that has a white dot in the center of it, just behind the eyes. Each black eye is ringed in red. Short hairs sparsely cover the crown of the head and the face. Two white wavy lines sit under the eyes on each side of the head. Two thin white dashes fall in line with the white lines on the brown, hairy abdomen. 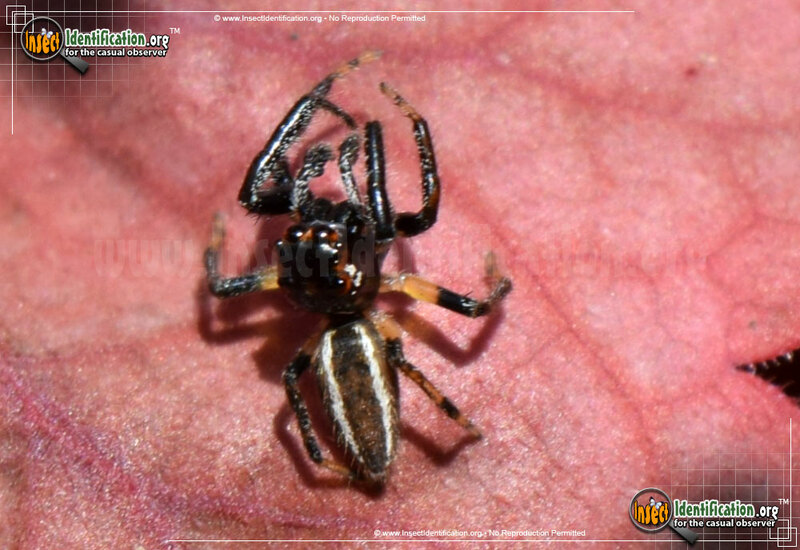 Legs are black with light yellow-brown bands near the feet. 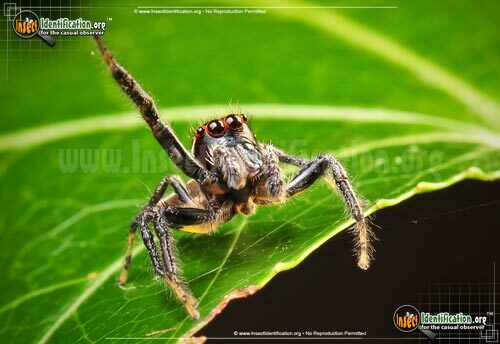 Jumping spiders can be found on the leaves and branches of garden plants and bushes, hunting for prey. 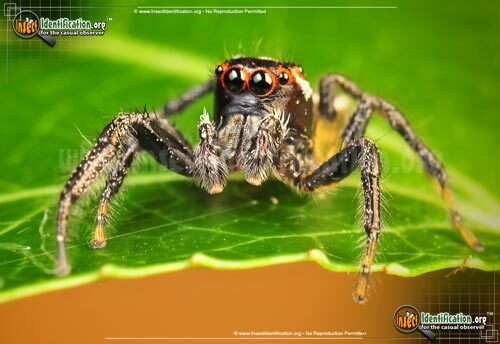 They can also be found hiding under stones, leaf litter, or tree bark. Occasionally they find their way inside homes, but they can be easily coaxed back outdoors with a piece of paper and a little patience. Given their diet, some people allow them to become tiny roommates. 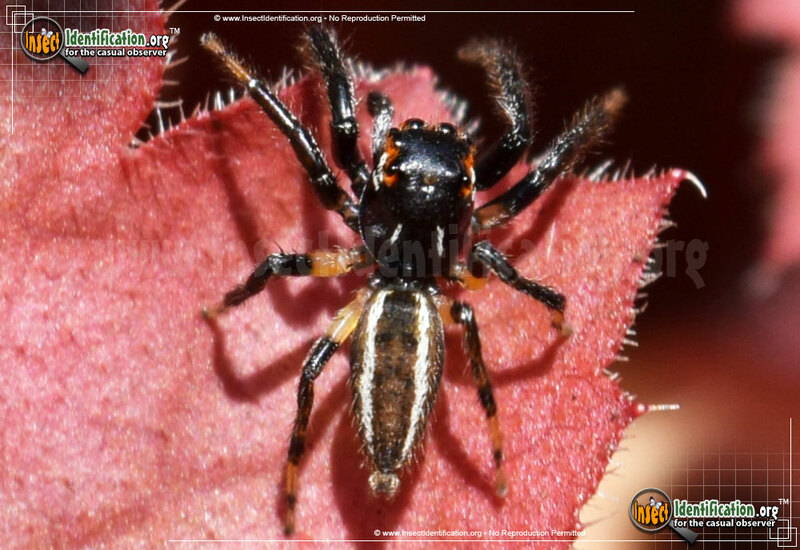 They consume a good number of house insects, reducing the need to use chemical pesticides.